2-in-1, bottom part can be zipped off! 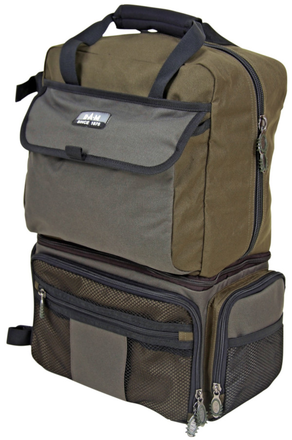 A multifunctional backpack that allows you to keep all of your gear nicely organised! This unique backpack excels in functionality. The top part consists of a large main compartment. The bottom part can be zipped off and used as a separate bag. The backpack features comfortable, padded carry straps that are also adjustable. A multifunctional backpack that allows you to keep all of your gear nicely organised. 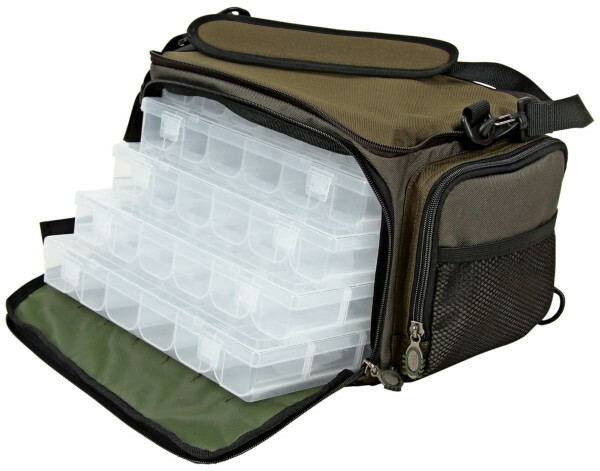 Including 5 PVC tackle boxes!